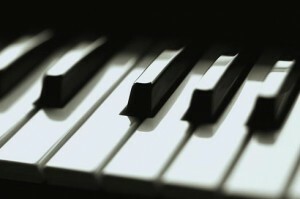 The below listed free piano chords are licensed free under a creative commons non-commercial license. Piano chords are tagged with the appropriate license. You’ll find a complete range of Grand Piano Fazioli Samples – great for chord accents. Depending on what you need the piano samples for, you might need to cut them to fit. They are delivered as is, with creative freedom in mind. If you don’t know the Fazioli name, it’s an exclusive and wonderfull grand piano. You can read more about it here [external link]. Creative Commons make it possible to make these piano chords free. A lot of time has gone in to recording and organising the piano chords into high quality sample packs – which are all available in high quality lossless wave format – so please respect the license… and far more important – please let DaDeMo, who has contributed these, know what you think in the comments. Feel free to request further piano packs. This massive piano sample section is built on only Grand Piano Fazioli Samples. If you are looking for something other that Fazioli, better head over to our front page, listing free beats by category. This is a listing of every single free piano chord. They are available in zipped packages containing a number of shots. Download the free piano chords now, and start making great piano loops. If your are looking for ready made piano loops – check these piano samples. You cand find alternatives to piano – we have a diverse range synths and keys. Just check out the sample archive. The loops are, as always, available in wave file format and cuttable so you are able to make your own synth and piano chords – for free. These are fantastic piano samples, great for chord accents! Great job on recording them I think there top notch! I’m keeping my fingers crossed that DaDeMo will pick of where he left of. Accordian is a favorite instrument for him – and would be an excellent addition to the archive. Links aren’t working! I think Website maintenance is tough for you guys; anyhow, thanks for all the content available! Whoops. Must have been like that for quite some time. thank you very ,very much for sharing and everything … this is very,very valuable work!